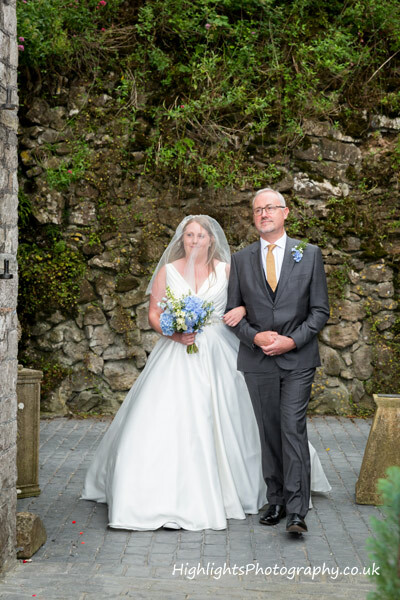 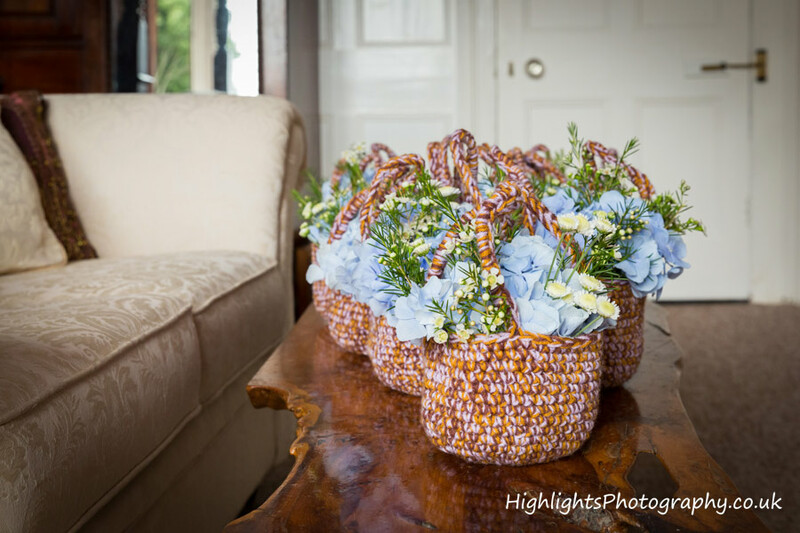 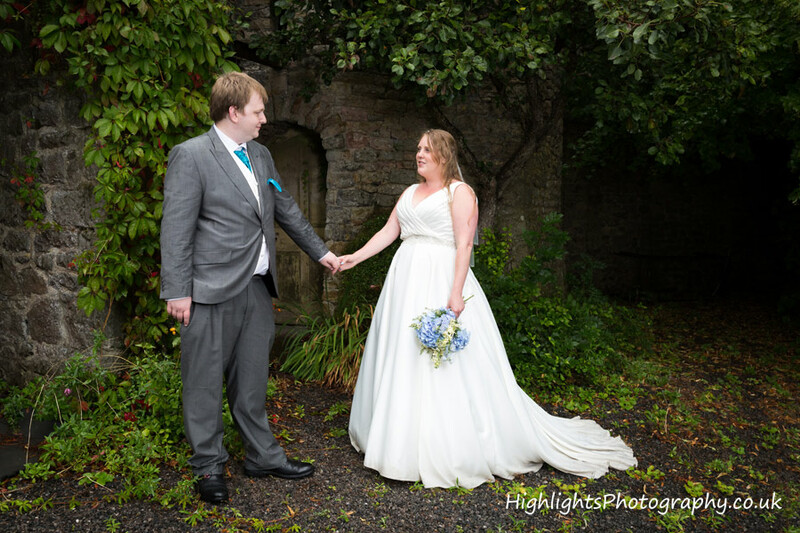 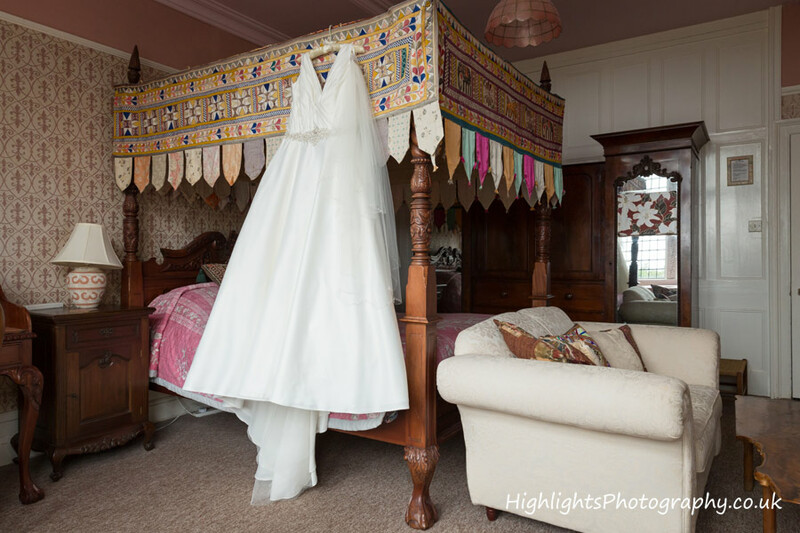 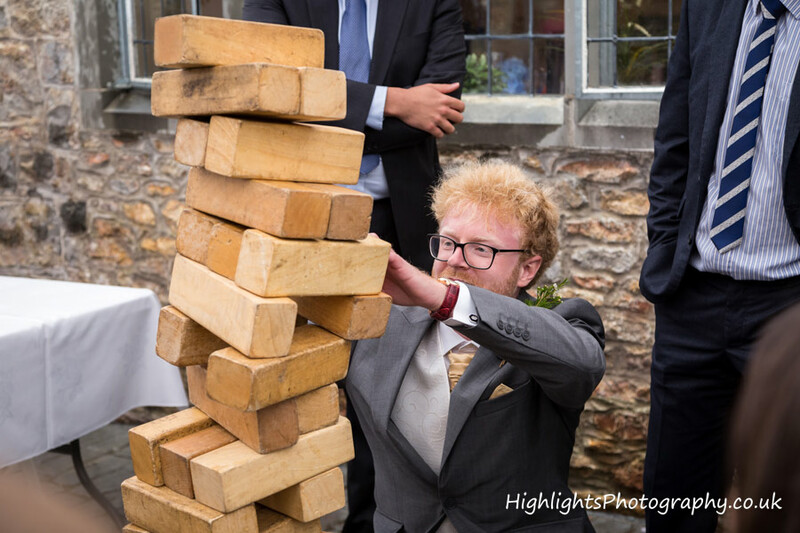 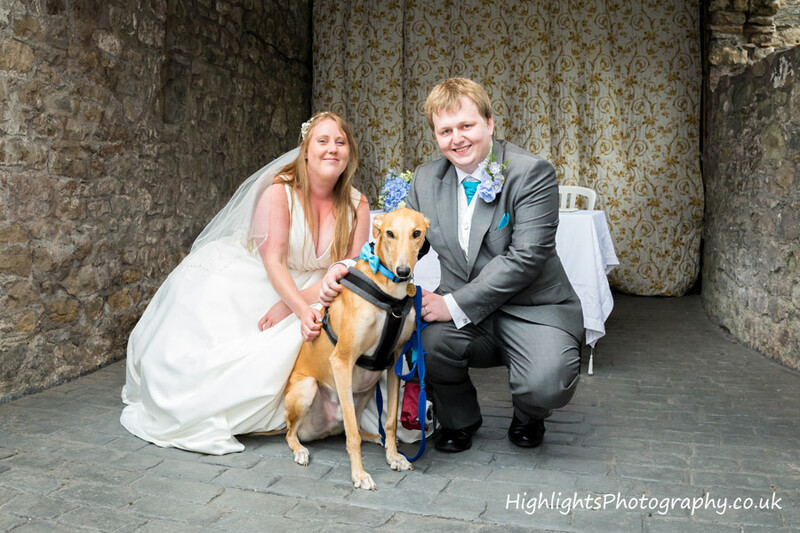 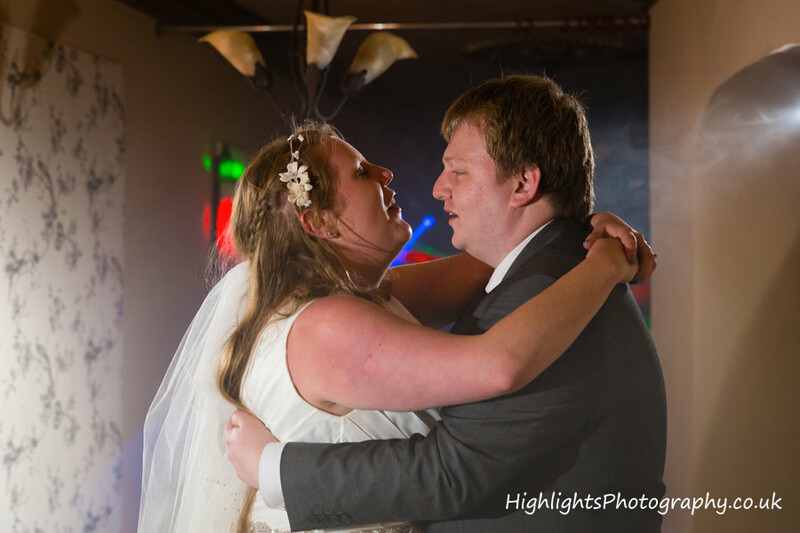 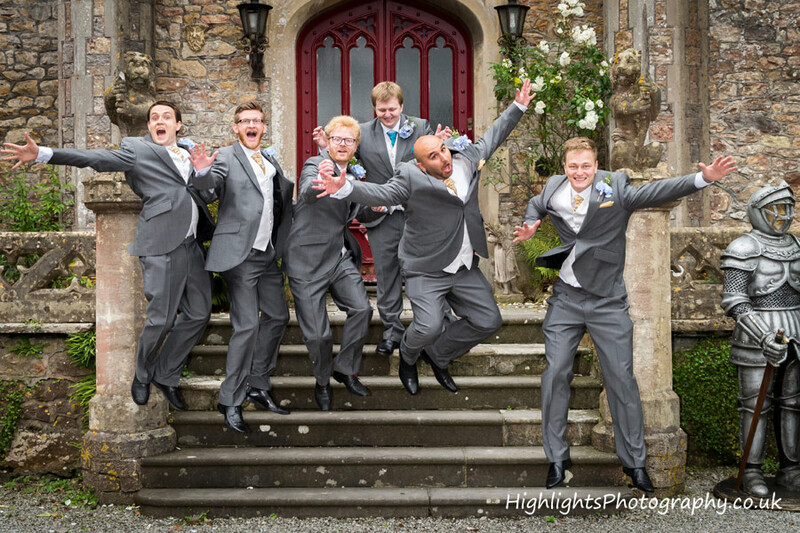 – As Somerset Wedding Photographers, we knew a Banwell Castle wedding was going to be filled with lots of fun and colour! 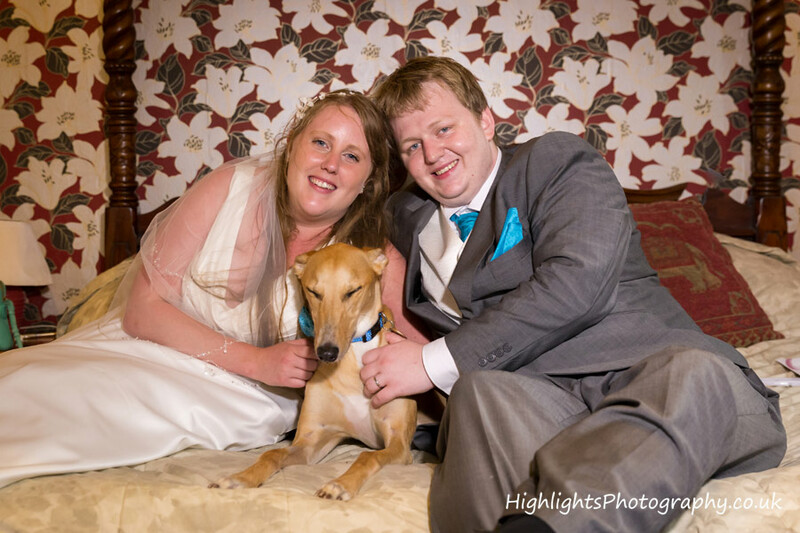 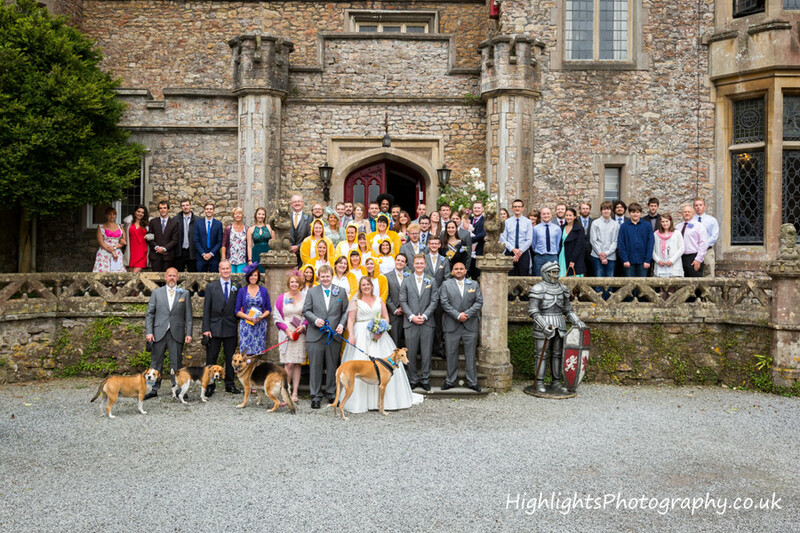 The Bride and Groom had a dog and teddy bear theme together with traditional large table size party games. 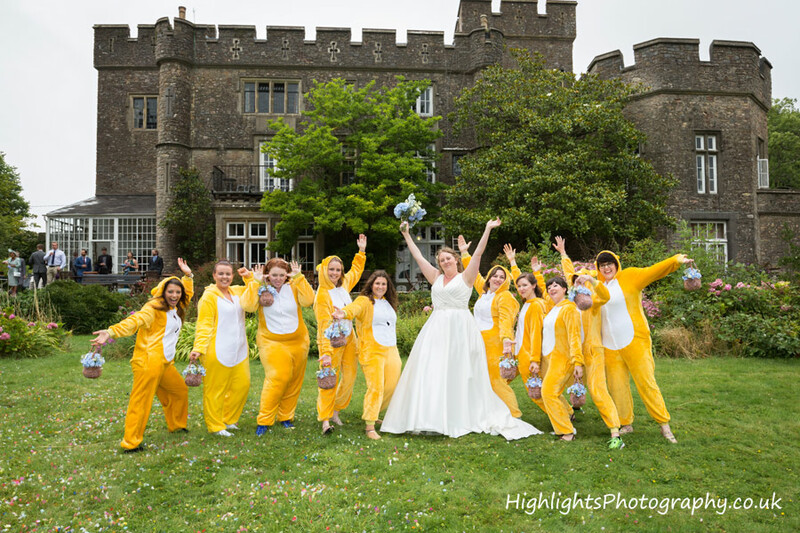 The Bride was assisted by several of her girlfriends dressed in yellow teddy bear onesies, oh and not forgetting Gordon their very sweet Lurcher. 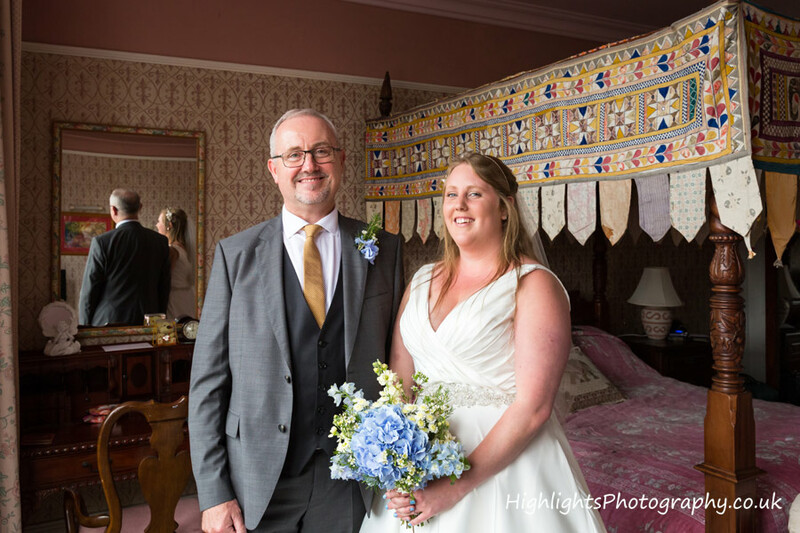 The ceremony took place in the old horse and cart yard under an arch, followed by a photo shoot outside the grand castle entrance and then the grounds overlooking Loxton. 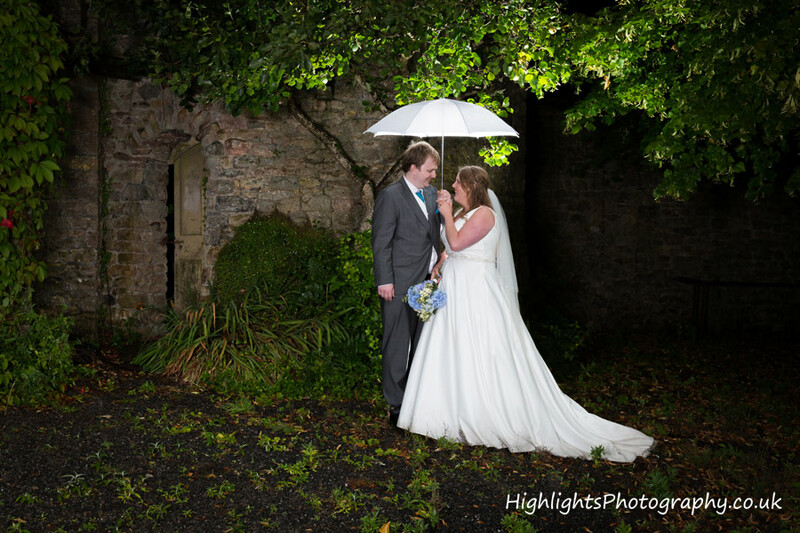 The weather changed from sunny to heavy rain in the afternoon but this didn’t deter the couple and family and friends. 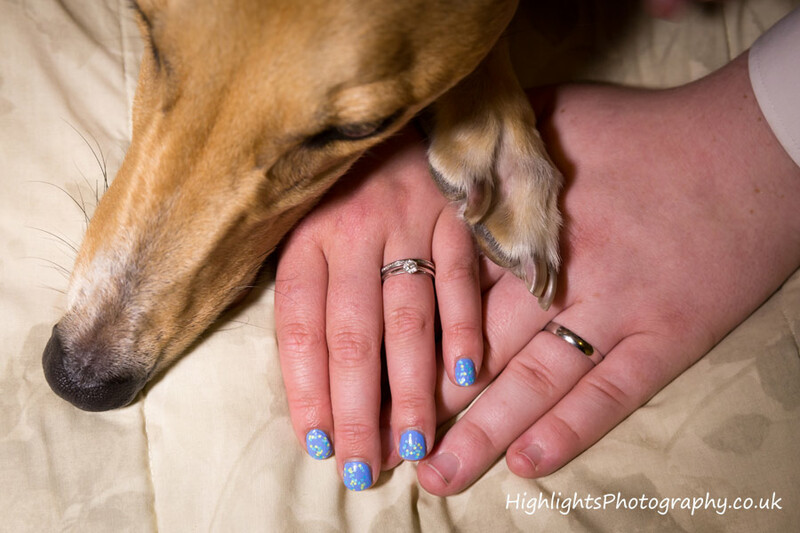 All were up for some fun. 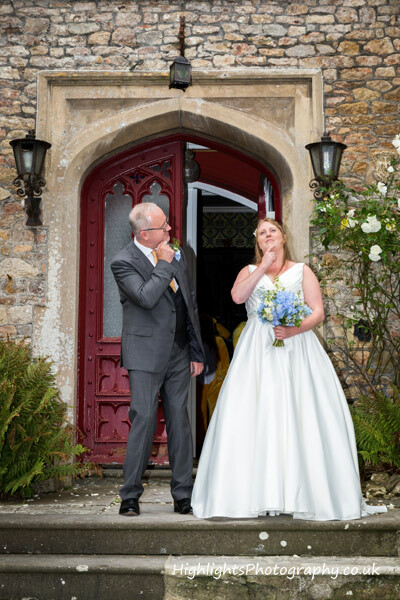 After a wedding breakfast in the Gate House, the fun and games continued in the court yard and in the evening with a visiting portable Wedding Photo Booth for family and guests. 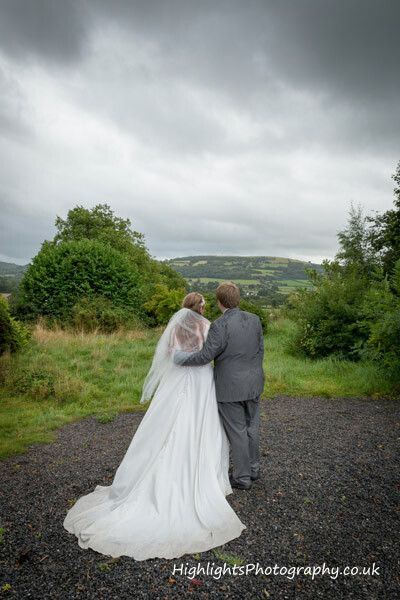 Check out some of the other fantastic wedding venues we have visited over the years, as a Bride and Groom there are so many beautiful locations to choose from now-a-days. 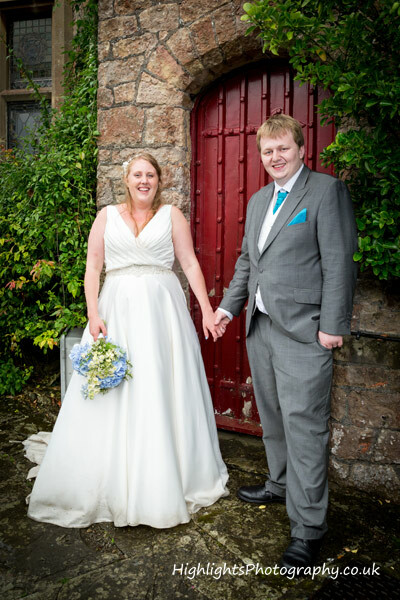 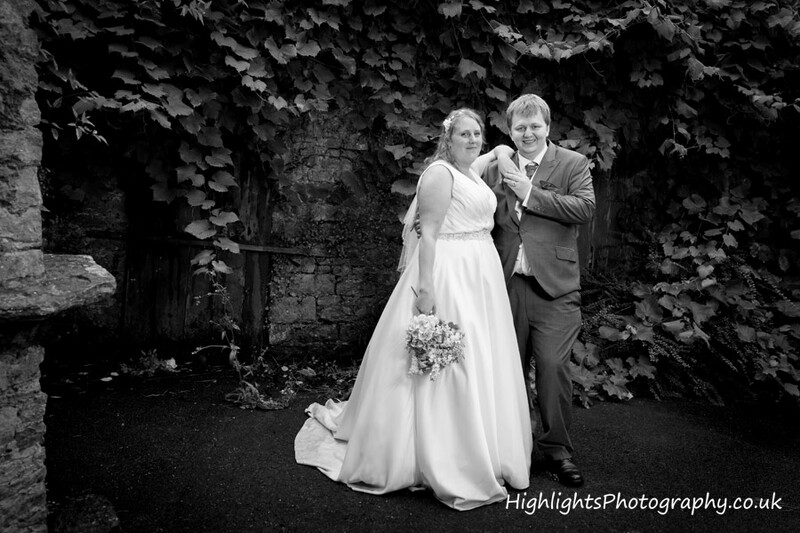 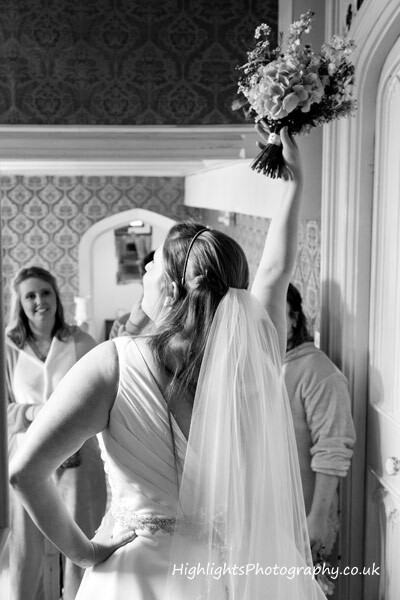 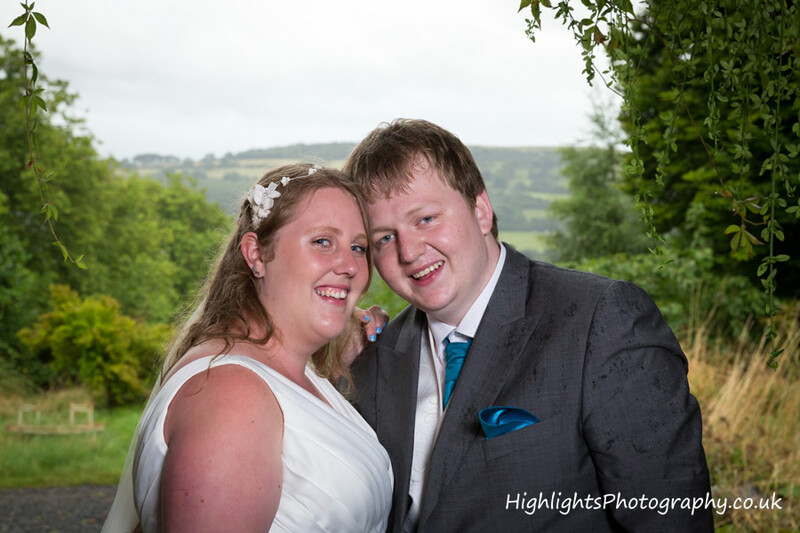 So if you are searching for someone to do your wedding photography in Somerset, look no further. 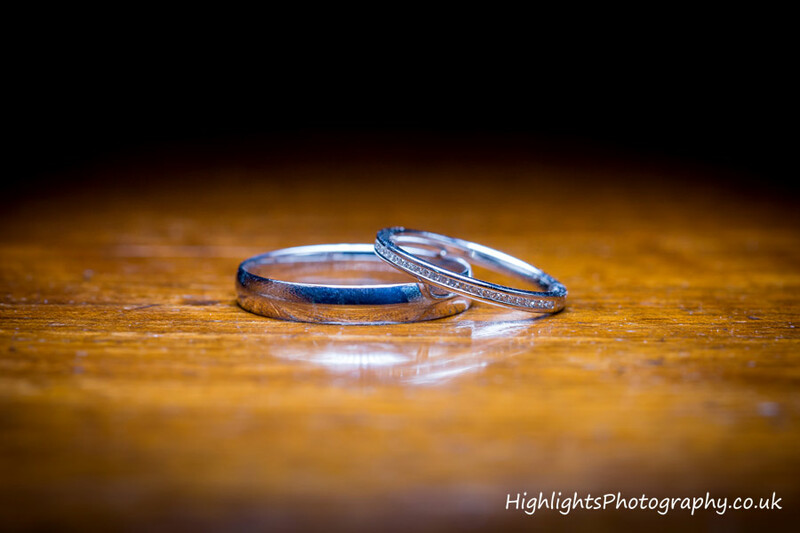 Check us out at Highlights Photography. 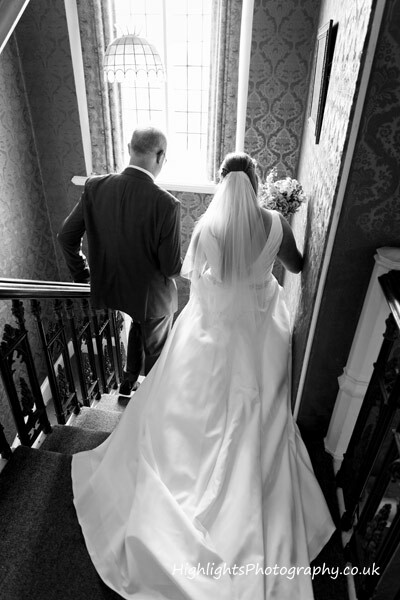 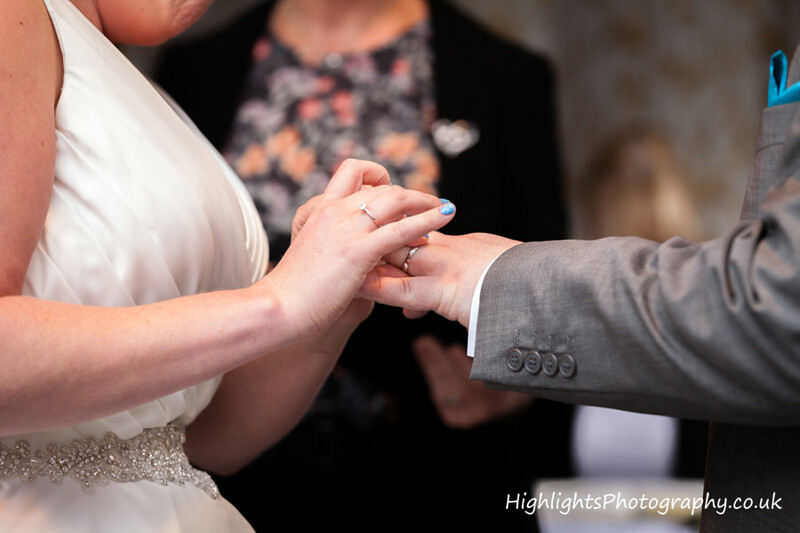 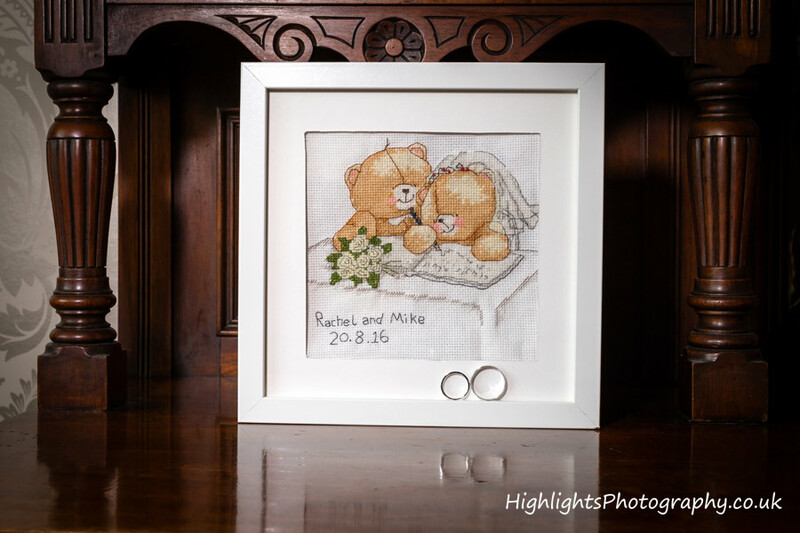 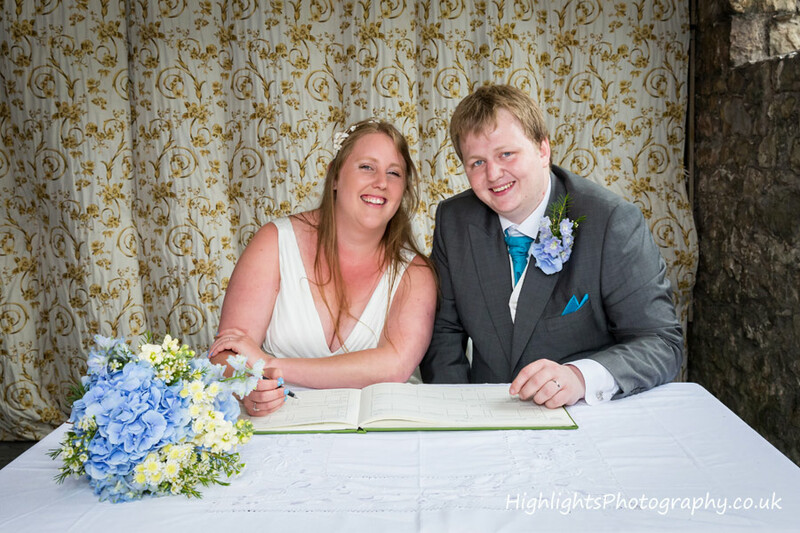 Have you also seen our Wedding Photography Collections and Prices? 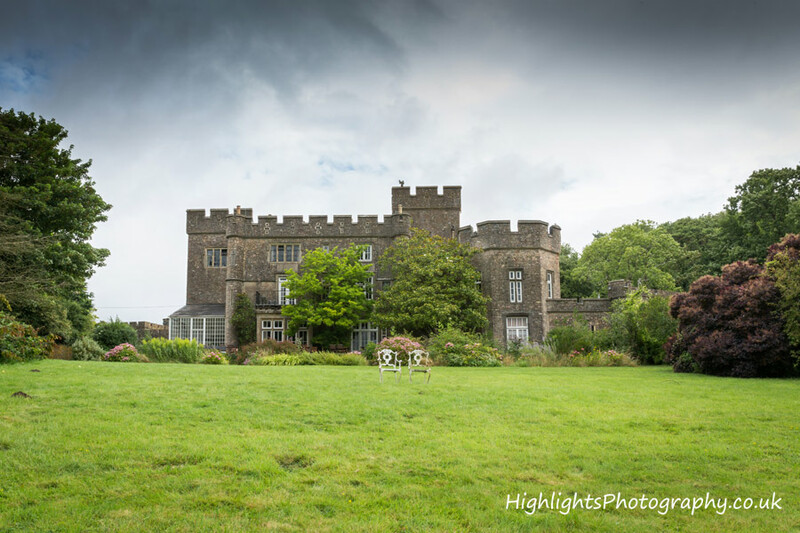 Banwell Castle revels in very rich history going back to pre-1753 where the Bishop of Bath & Wells originally owned the land and buildings. 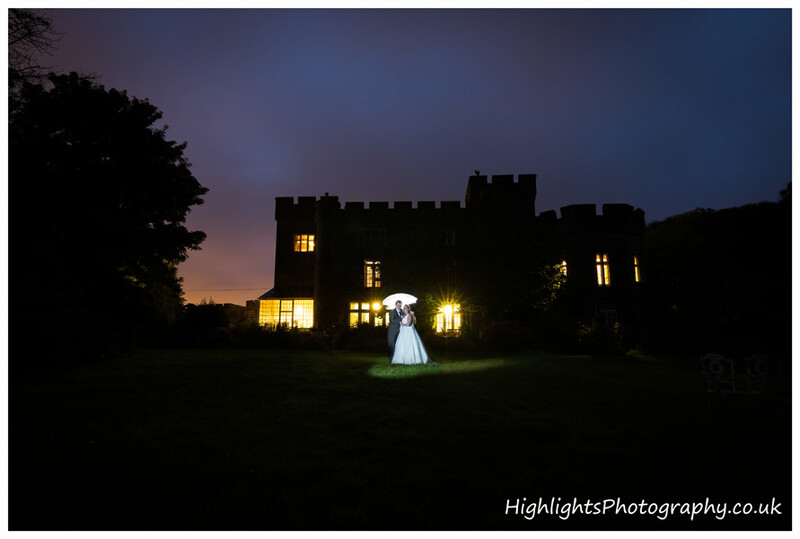 The Castle is now a Victorian Gothic Revival mansion. 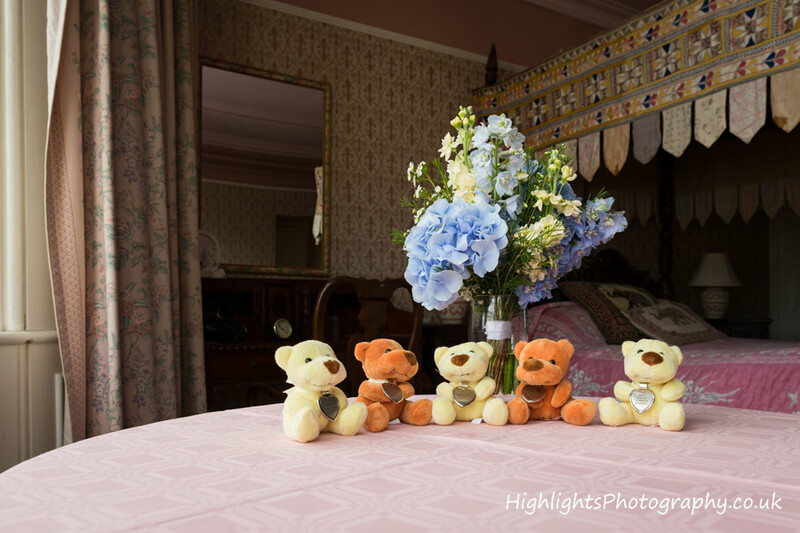 It is a Grade II* listed building and very much a family home but does excellent Bed &Breakfast. 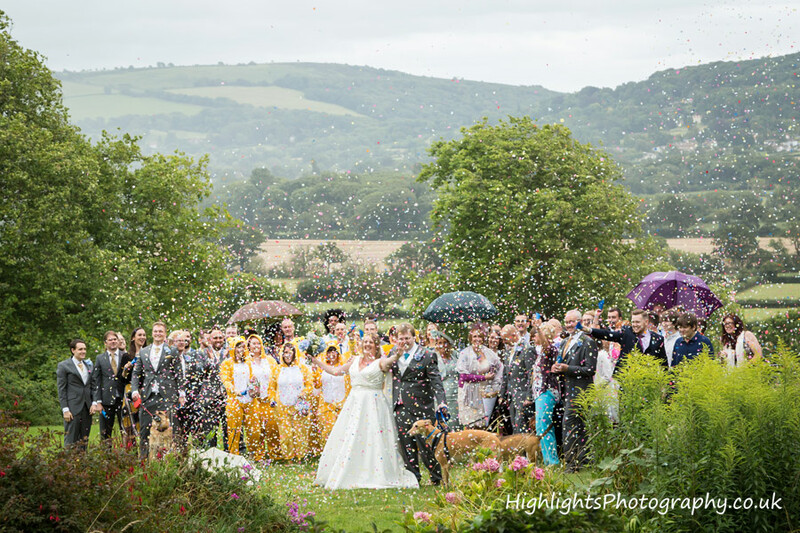 Also used as a wedding venue, all set in 25 acres of grounds overlooking the beautiful views south across the Loxton Valley to the Mendip Hills and north across the moors to the Bristol Channel and Welsh hills. 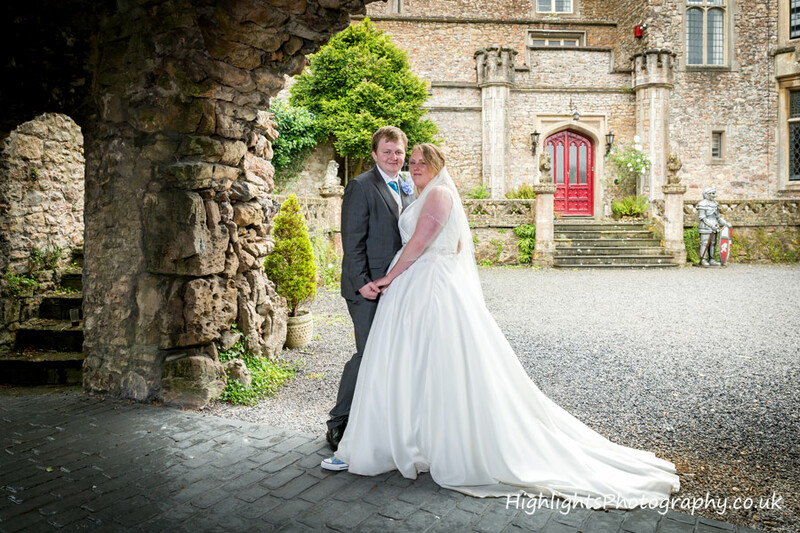 For more information about weddings please contact Banwell Castle direct.